The Envirothon team from Vantage Point Education in Gwinnett visited Mill Creek Nature Center last week. 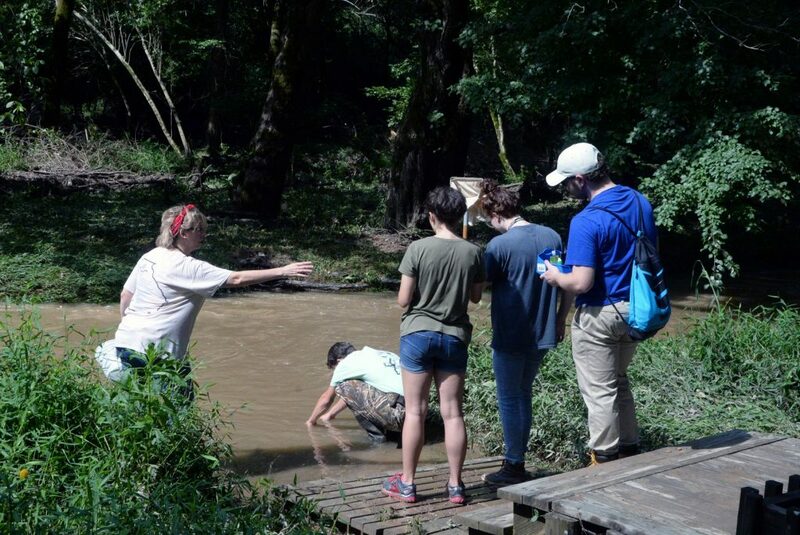 With instruction from team leader Trish Foster, students practiced sampling for aquatic invertebrates in preparation for the North American Envirothon Competition July 22 – 27 in Idaho. Envirothon is a national, hands-on environmental problem solving competition for high school aged students. Participating teams complete training and testing in five natural resource categories: Soils & Land Use, Aquatic Ecology, Forestry, Wildlife, and a current issue. Winning teams from each state and province advance to the North American Envirothon for an opportunity to compete for recognition, scholarships, and prizes. For the third consecutive year, the team from Vantage Point took home the first place trophy at the state competition. Placing 8th in nationals last year, they hope to finish even higher in the rankings in 2018. 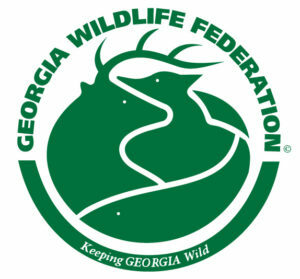 Your friends at GWF and Mill Creek are proud of your accomplishments and wish you the best of luck in Idaho! Vantage Point Team Members are Emma Alexander, Joan Deitsch, John Deitsch, Nadya Gutierrez, Brandon Waterfill, and leader Trish Foster.